It’s no secret that finding cheap car insurance for teen drivers is a challenging task. 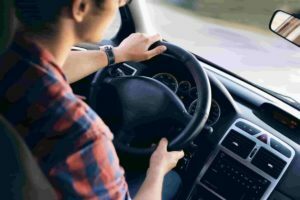 Teenagers are statistically more likely to be involved in accidents than older, more experienced drivers, which makes them a greater liability to auto insurance companies. In 2013, drivers between the ages 15 and 19 accounted for only 7% of the U.S. population, but that age group caused $10 billion in motor vehicle injuries, or about 11% of the national total. Per mile traveled, teenage drivers between the ages 16 and 19 are about three times more likely than drivers age 20 and older to be involved in a fatal crash. Per mile driven, the accident rate for teenagers ages 16 and 17 years old is three times higher than for teens ages 18 and 19 years old. Teens are more likely to be involved in accidents and to execute an illegal maneuver when transporting a peer passenger. About half of all teenage deaths involving motor vehicles in 2014 occurred between 3 p.m. and midnight. More than half of these deaths occurred on Friday, Saturday, and Sunday. About 36% of male drivers between the ages 16 and 20 who were involved in fatal accidents in 2014 were speeding. About 24% had been drinking alcohol. About 17% of drivers between the ages 16 and 20 who were involved in fatal motor vehicle collisions in 2014 had a blood alcohol concentration (BAC) of 0.08% or higher. According to a national survey in 2015, about 1 in 5 teens had ridden in the previous month with a driver who had consumed alcohol. About 53% of teens between the ages 16 and 19 who died in passenger vehicle accidents in 2014 were not wearing a seat belt. Teens are involved in more fatal distracted-driving accidents than any other age group. How Can Young Drivers Get Their Car Insurance Premiums Reduced? New drivers can get their auto insurance premiums reduced by maintaining a clean driving record and avoiding major traffic citations. Some car insurance companies also offer student discounts and discounts for good grades. Other providers offer car insurance discounts to teens who complete approved driver safety courses. Teens can also pay less for auto insurance if they purchase a vehicle that is cheaper to insure. Ask your car insurance company about discounts for students, good grades, and safe driving. What Steps Can Parents Take to Help Their Teens Avoid Accidents? If you’re driving with your teen in the car, be sure to fasten your seatbelt before starting the ignition, and make sure your passengers do the same. Never use your cell phone behind the wheel, speed, or break other traffic laws. A disproportionate number of accidents happen at night. Be sure to establish a driving curfew for your teen to limit his or her risk of being involved in a collision. There are dozens of apps available that encourage safe driving for teens. Some of these apps deactivate certain functions of your teen’s phone when they sense that the vehicle is in motion. They may also give you access to data about your teen’s location, speed, and other behaviors behind the wheel. The type of vehicle you purchase for your teen not only could affect the amount you pay for car insurance, but it could also influence his or her risk of being involved in a collision. Look for a vehicle with low horsepower and the latest safety features. It’s no secret that teens are susceptible to peer pressure. Young drivers are more likely to break a traffic law when transporting a peer passenger, so be sure to limit the number of passengers your child can carry until he or she has proven to be a responsible driver. The power of peer pressure or plain curiosity can lead a teen to make some questionable decisions. Hitting the road while under the influence of alcohol or drugs not only will increase the risk of your child ending up in an accident but also will cause his or her insurance claim to be rejected. Educate your child on both the life-threatening and financially-devastating consequences of driving while intoxicated. Telling a small fib to avoid being grounded might seem minor, but telling a lie to the insurance company could lead to the rejection of the claim. Read through the accident report and quiz your teenager before filing a claim with the insurer. Your insurance company will only cover licensed drivers in your household. If your child does not have a learner’s permit or driver’s license and causes an accident, the insurer will reject the claim.